In case you’ve lost track of when the UK is leaving the European Union – if at all – here we give you the latest in the series of back-and-forth, and what the insurance industry thinks about the recent turn of events. First off, Britain isn’t departing the world’s single biggest trading block today without a deal – a scenario that the Association of British Insurers (ABI) previously described as an unforgivable act of economic and social self-harm. In fact, the UK now has more time to put a withdrawal agreement in place. Following a special summit, a further extension to the already delayed Brexit has been granted by the European Council. The new date? October 31, or more than half a year from now. “During this time, the course of action will be entirely in the UK’s hands,” stated European Council president Donald Tusk after the special meeting. “It can still ratify the withdrawal agreement, in which case the extension will be terminated. If a deal is ratified by both camps ahead of Halloween, the UK will be out the door on the first day of the following month. Meanwhile it’s been stressed that the country will have to hold European Parliament elections if it is still an EU member between May 23 and 26. Failure to hold the elections will mean a June 01 exit. 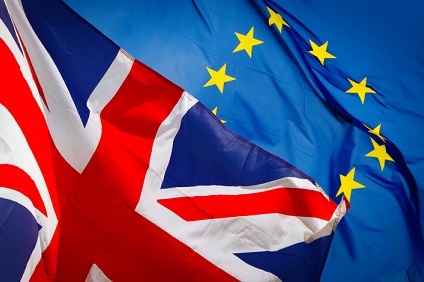 In response to the decision, the ABI’s director general Huw Evans offered the following insights: “While it is a relief that the UK will not crash out of the EU without a deal tomorrow (April 12), this extra time must be put to good use. Members of Parliament have rejected Prime Minister Theresa May’s proposed departure plan multiple times. Meanwhile an industry-led body representing financial and related professional services in the UK welcomed the news while highlighting the crucial role of the delay. TheCityUK chief executive Miles Celic commented: “The UK should embrace the extension offered, but recognise that this cannot be just another hollow postponement. It must be used to deliver a deal which allows negotiations on the future relationship to move forward. Catherine McGuinness, policy chair at the City of London Corporation, concurs and said the threat of more businesses moving jobs and operations away from the UK persists amid the sustained uncertainty.